General Annual Grant (GAG) pooling is permitted by the Education and Skills Funding Agency (ESFA). The Academies Financial Handbook confirms that a Multi Academy Trust (MAT) has the freedom to amalgamate a proportion of GAG funding for all of its academies to form one central fund. This fund can then be used to meet the running costs of any of the constituent academies within the trust. Lord Agnew, the Parliamentary Under Secretary of State for the school system considers this to be one of the greatest freedoms for MATs. Yet, in practice MATs currently seem to prefer to top slice rather than pool GAG. It is thought that the current reluctance to pool GAG stems from a perceived loss of autonomy and control at a school level. Cultural change is required to ensure GAG pooling is effective. A shift of emphasis away from Heads of School considering the impact of budgetary decisions on their individual school’s pupils, to all Heads in a MAT considering the impact of decisions on all of the MAT’s pupils is required. A pooling agreement / policy should be drawn up by the central team and agreed by all academies within the trust. The agreement should set out the parameters by which funds will be pooled. This should include which funds will be pooled and whether brought forward reserves will be pooled or not. To limit grievances you should consider clearly documenting within the agreement the various criteria for allocation. All GAG receipts from schools within the trust should be allocated to the central finance team to form one funding pot. It is our understanding that Devolved Formula Capital grants can also be pooled as can the funding announced by the Chancellor of the Exchequer in his last budget (Autumn 2018) for the ‘little extras’. The Academies Financial Handbook clearly states that PFI funding cannot be pooled. Monies such as pupil premium and sports grant are awarded on a per pupil basis and must be reported upon. It is our understanding that elements of this funding can be paid over to the central finance team to support MAT policies to specifically deliver programs that support the efforts of both of these funds. The central finance team in conjunction with individual school leaders should prepare a budget for each of the schools in the trust. A budget should also be prepared for central services. The budgets should be prepared with reference to a range of Key Performance Indicators to ensure that the school is working within the parameters set by the trust for good financial management. Circumstances specific to the individual schools should also be taken into account as these may impact the budget setting process e.g. Ofsted performance, level of Special Educational Needs and the age and condition of the schools’ facilities. Development plans for each individual school may also need to be taken into account. Schools should then be allocated their GAG with either an additional contribution from, or a contribution to central, depending upon the budget that has been set. The actual results of each school should be monitored to ensure that the budget is appropriate. The use of KPIs across the trust should enable the central team to regularly assess the results of each school and to feedback on the validity of budgetary decisions. 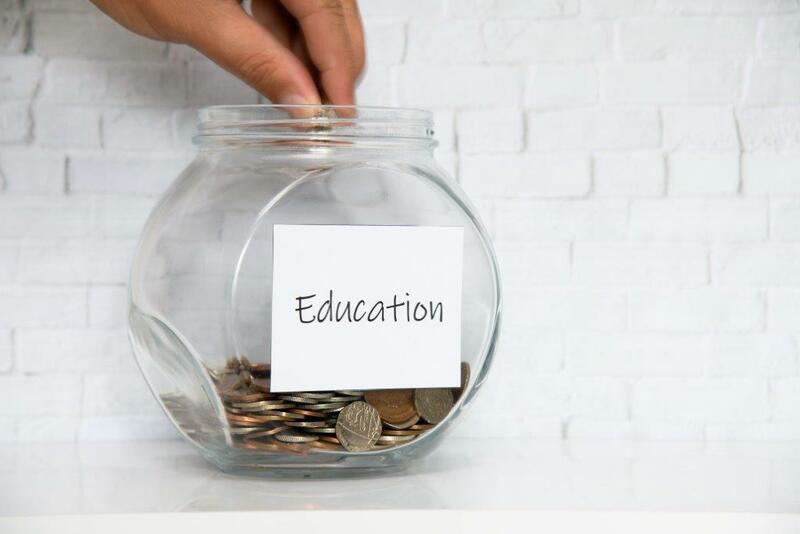 MATs should consider centralising certain lines of expenditure such as utilities and maintenance to ensure that individual school budgets are concerned with expenditure that can directly be influenced by the leadership team at an individual school. A decision will need to be made concerning how brought forward reserves should be treated. They can either be left with each individual school or they too can be pooled. This decision will be influenced by existing plans for brought forward reserves. A comprehensive reserves policy should be developed to ensure that the use of brought forward reserves and future additions to reserves are clearly understood by all. As mentioned cultural change is needed to ensure that GAG pooling is effective. MATs should consider including the performance of the trust as a whole as part of the appraisal process for all leaders across the trust. To facilitate this individual school leaders should be key contributors to the budget setting process and should be at the heart of the design and implementation of central MAT policies devised to improve the educational experience and standards across all schools within the trust. A DfE research survey in July 2017 confirmed that GAG pooling is not currently utilised by many MATs with the majority of MATs confirming that despite the availability of this freedom they continue to top slice. A number of MATs confirmed that they do charge constituent academies varying levels of top slice depending upon factors such as a schools phase of conversion / maturity as an academy and performance. Whilst a minority of MATs had formal GAG pooling policies in place an increasing number of MATs have expressed their intention to do so in the future. The impact of the national funding formula on this is as yet unknown. It is apparent that the key to the effective operation of GAG pooling is a clear policy which has been agreed by all constituent academies. Consultation with Head Teachers and Local Governing Bodies concerning its implementation will be key to its successful roll out. We hope that our blog assists with your GAG pooling. If, however, you need more information then please contact me for more help and advice with this area or, indeed, any other help you need with your academy.